Sign Up foKohl's email Sale Alerts and Save an Extra 15% on your next purchase in store and online! Simple solutions to all types of spaces. The best way to organize your kitchen in 4 easy steps. 7 easy tips to help you decorate your home. 7 reliable decorating tips that will make your home look amazing. As I’ve mentioned in previous posts, All spaces present design challenges. Some people are just born with and eye for decorating and design. Others learn the skill and are able to use it successfully. And then, there are those of us who lack the ideas for design. But a few basic techniques can go a long way. These rules and principles are easy enough that any one can use them. Your home might not look like it belongs on HGTV, but it will look presentable. Something to consider, before going into the 7 tips I have for you. Set the tone at the front door! Follow the rule of odd numbers, (rule of 3’s) Odd numbers are a foundation that can create harmony and visual interest. It helps to have groupings of objects in varying sizes, shapes and textures. Here are the 7 tips that will help make your home amazing. 1.- Bring on the plants! We don’t just crave nature, we are happier and healthier when it is a part of our lives. Plants can improve your indoor air quality. And can improve productivity by 15%! They are also beautiful peices or decor. 15 plants that purify the home. 2- Pair low ceilings with high furniture. Many people have low ceilings in their home. But higher furniture will make the look higher. 3- Get creative with your lighting. lighting for your home is important. This includes natural light, ambient light, and task lighting. Balancing the lighting will help minimize shadow and glare. As well as add depth. Choose lamps that speak your personality! 4- Challenge yourself to go beyond beige. It can be temping to stick with a neutral color base. But you should decorate your home to be as colorful as you are. So throw in that slightly bolder color, as long as it makes you happy. 5- Design a way that promotes conversation. New trends show non tradtitional sofa shapes that are designed for conversation and hosting. Rather than focused on TV. Curved sofas add an element that promotes conversation. If this isn’t an option for your space, try putting chairs and sofas facing each other rather then the TV. 6- Fill your walls with your favorite art. It is an AMAZING design tool. It totally transforms the room. Play with color and style, while choosing pieces that can be focal points. 7- Incorporate meaningful souvenirs. When it comes to art, don’t limit yourself to just the walls. Think about throw blankets, pillows, vases, small scultpures, or whatever else speaks to you. Author UncommonspacesPosted on April 17, 2019 April 17, 2019 Leave a comment on 7 easy tips to help you decorate your home. How to save kids art work. Kids art work… precious, important, and everywhere! We all love the master pieces our little ones create. But if we kept it all, family and friends would begin to wonder if we had turned into hoarders!! Creative efforts like these deserve to be displayed, but its hard when multiple pieces are made each day! I will be the first to admit, I throw most, but not all away. I fold it up discreetly and slip it into the trash. And pray like crazy that no one opens the trash can and sees! UNLESS, it meets 3 points. 1. Are they proud of it? 2. Is it uniquely special? 3. Is there space to keep or display it? If it meets these 3 requirements, It either goes in the keepsake box, or the child’s personal album. Where I keep special certificates, class pictures, cards they have given me for special occasions, and other such things. For the really special art work that is display worthy will be covered a little latter in the post. By placing items in categories like this helps with organization. When placing things in a keepsake box, place them directly on top of each other. That way it will automatically be in order by year and age. For the album, I purchased 3 ring binders for each of my children. And used page protectors to file class pictures and certificates and such. Each time you add a section, place it either to the end, or to the front of your album. Wal-lah!! perfect order again. By the time your kids are 18, you will have a beautiful collection to give them! Now the fun part! There are so many different ways to display art work. We are not just limited to the fridge. We can get really creative with this. The first thing you will want to think about is WHERE you want to display. Are you able to have a designated wall space? If you are, then how much room is available? These are things that will help you determine how much you can display at one time. This is an example of an art wall. Using rope and clothes pins. You can make this as big or little as you want. The sky is the limit on ways to create a space for displaying artwork. An idea that i have used in the past was to take pictures using my phone. I then printed out smaller pictures to put in a frame. This is a way to display many at one time. This is changeable also, “in with the new, out with the old” so to speak. The old picture then can be filed away. I worked in a daycare center for many years. And there was also art displayed on the walls. The kids loved to look up and see their special drawings or painting hung up. So I feel its so important to display them somewhere somehow, no matter our space. Maybe there is a special place in your childs bed room that would work for this. I loved to make my classroom look like an art gallery, by using picture frames. Or by just putting a pretty background paper behind the picture to make it stand out. I had pretty much an entire room to dedicate to art. But what ever way you decide to use for display, remember these key rules. Consider the size of your space you will dedicate to the display. If there isn’t anymore room for new art, you will have to remove one and decide how or where to store it. If the art doesn’t fit the space, you will have to make adjustments. Can you trim the edges? Maybe have your child pick out their favorite part and only save that part. If your child attends any type of daycare or preschool, your childs teacher has probably already dated the art. If not, make sure you do before putting it in an album or keepsake box. 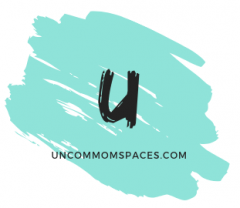 Author UncommonspacesPosted on April 10, 2019 April 10, 2019 Leave a comment on How to save kids art work. The secret to arranging an outstanding living room. Our living rooms are often the center of the party. We entertain, hold meetings, host parties, and just relax. In many homes, it is the most used room in the house! Some homes have very formal spaces, others are very casual. Regardless of house you use your living room, here are a few rules of thumb to think about when arranging and placing your furniture. A few different ways you can place your furniture. Designing a small space can be tricky. Making a room feel as spacious as possible, while adding extra seating. Or which furniture to choose, and where to put it. All spaces present a design challenge. And I am not blessed with a large space, but rather a long narrow space. But here are the suggestions I have. They worked quite well for me. This is my main focal point. Focal points can be anything. I have two points in my room. Since it is long and narrow, I have a focal point on each end. *First and foremost, find your focal point. It is what you want to see first when you walk into the room. This could be a fireplace, special painting, or a wall. Maybe even your tv if that’s your thing! *Next, we will establish a center point and it does not have to be the middle of the room. Generally a coffee table is used for this. Other ideas could be a large ottoman. Which ever it is, It is the anchor of your room. And will divide the space. In my living room I have a love seat that reclines, and two other chairs. *Now we can select the seating. The correct way is what works best for you. First, figure out the function of your furniture. Do you need extra storage? And watch the traffic flow. Allow 36 in. for the flow. Start with a sofa, and a pair of chairs, this combination works in any space. Use cleaner lines, and petite sofa arms for a small space. Larger rooms can handle bigger bulkier furniture. *Add flat surfaces. Which most often is a coffee table. A place to set drinks or other items. Don’t forget about end table either! The rule of thumb is to place the coffee table 14-18 inches from the sofa. Whether your room is formal or for everyday living, you want to provide enough surfaces for people to place their drinks. comfortably. How many you have is up to you. Try sitting in each area, and set your coffee down. If you are short of space, but need more surfaces, try nesting tables. They can be moved around when needed, and put back easily when done. Now we will want to add in some decorative elements. Try to be flexible, you will probably have to move things around more then once before you are fully satisfied with the arrangement. *Tie the space in with an area rug. *Use mirrors- If you dont have many windows, or lack in the lighting area. Mirrors can be quite helpful. They will not only help your space look bigger, but adds depth as well. *Place art work above eye level. Try placing a sofa or loveseat by a textured wall, or large window. With small end tables on either side. If you have a corner space, its ideal for a sectional. Not all surfaces need to be square or rectangle either, maybe a round or oval shaped table fits your space better. If your looking to add extra seating, but lack room, small cushions can easily slide under coffee and endtables. Or even double as a foot rest. Some cushions even open for storage! Author UncommonspacesPosted on April 3, 2019 April 3, 2019 Tags simple living room arrangementsLeave a comment on The secret to arranging an outstanding living room. 9 valuable tips to clean and organize your bedroom. I’ve never had the luxury of having a huge bedroom. But just because its small doesn’t mean it lacks space to use for organization. You just need to get a little creative. Here is a list of “creative” ideas. Your day begins and ends in this room. So keeping it organized will help keep you sane! *Make your bed– It costs nothing, and only takes a few minutes. Its THE most powerful tool in making your room look better. Even if its cluttered and messy. So take a few extra minutes to smooth out your blanket and put back your pillows. A quickly made bed pulls a room together in minutes. *Take advantage of the space under your bed.- Why waste it? Its prime real estate! For shoes, seasonal clothes, exercise equipment, or any other bulky items. Use clear storage boxes with handles. So you can see what you have, and be able to pull them out easily when needed. I used pop tabs to create a sort of double hanger. I use this for outfits that I ware together. *Conquer the closet- Many of us are not blessed with a large closet. So first, lets get rid of anything that doesn’t belong. Even if it means walking all the way across the house. Just to put it in its home. Invest in a few closet organizers. I have a few ideas pinned on pintrest. (Simply saving spaces) If you’d like to check it out. A shoe rack is a must. Arrange clothes by type or by season. Which ever works best for you. I can’t believe how empty it looks! I just cleaned out my closet! *Bedside storage- A small night stand can add a touch of beauty to a room. Choose a model that includes drawers. Now you have a place to stash your things that tend to clutter up. Such as kleenex, lotions, lip balm or books. Here I used a picture frame with the glass taken out. I put in small hooks for hanging, but you could also use thumb tacks. *Don’t forget the doors!- Use over the door hangers on the door of your room, or closet doors. Perfect for bathrobes, purses, belts, scarves, and coats. *Add a trunk if you have the room.- Use this to store extra blankets, or out of season clothes. But be careful with this one. These types of area can clutter up easily. And keep in mind, you can always store the same items under the bed. *Style your dresser!- Yet another place that can easily clutter up. But you can fix this by using baskets or decorative boxes to gather up small items that show up on the dresser. So there you have it. Easy peasy! But remember, your room didn’t get cluttered over night. It will not get cleaned and organized over night either. Author UncommonspacesPosted on March 27, 2019 March 27, 2019 Leave a comment on 9 valuable tips to clean and organize your bedroom. When I first began to “declutter” I would run from room to room, creating a pile that just needed to go somewhere else. But then I would run out of steam, become frustrated, and quit. I didn’t really even know where I was going with my clutter, I just stuck it into a drawer or basket so it was out of site. But then… I came across a You Tube video where a person was talking about organizing. The more I watched, the more I became obsessed. And the light bulb went on in my mind. I realized I was going about it all the wrong way. I then slowed my process down. Which leads me to my #1 rule. Create a place for everything. By this I mean, designating an area for all like Items helps calm down the clutter. Such as all coats in the same closet, or all shoes by the back door ect. When there are too many places for everything to go, we get all jammed up. I find that by labeling baskets and drawers also helps my family to put things back as well. Have you ever not been able to find that one missing item, and spent hours looking for it? Well, there’s a solution. By designating an area, such as a drawer, basket, shelf or closet, it will reduce the amount of time you spend looking. Because you will know exactly where it should be. When I started this process, I first had to get rid of the things I no longer needed. And THIS was the hardest part. Where do I start? was the fist this that came to my mind. But I continued to read up on this problem, and kept watching those you tube videos, and learned that the best thing to do is to start with just one room. And if the room seems much to big, then, one drawer, one shelf, one basket at a time. Your mess didn’t happen over night and neither will the clean up. Once you have tackled that,( and don’t think it needs to be perfect.) Then you will be able to move forward. By moving forward slowly you begin to see just how you would like it to look. And doing it a little at a time makes it so much easier. And this brings me to my rule. CREATE A SPACE FOR EVERYTHING.